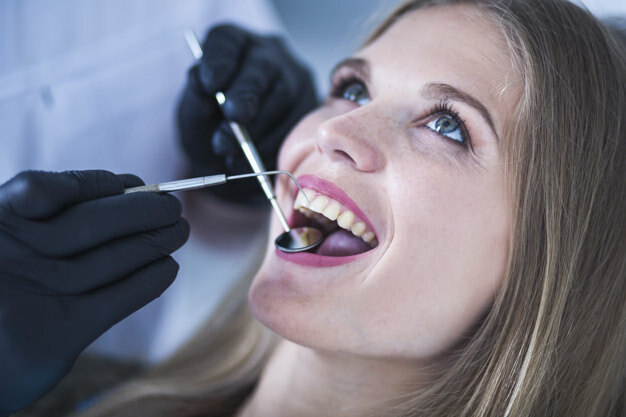 Are you ready to find out how veneers could improve the look of your smile? Cosmetic dentistry has certainly come a long way over the decades. It’s amazing what dentists are able to do thanks to advancements in dental technology, techniques, and materials. Now, our Charlotte, NC, cosmetic dentist, Dr. Duc Tang, can truly transform smiles with simple restorations like dental veneers. Even the smallest imperfections can really take something away from your smile. There are many scenarios that can leave you with chipped, cracked or discolored teeth. Even though little flaws can easily be treated, more extensive cosmetic defects may seem more difficult to tackle. Don’t worry, our Charlotte dentist believes that dental veneers could be just the thing you’ve been looking for. Dental veneers are ultra-thin shells made from porcelain. Porcelain is a highly durable material that is also designed to match the shade and translucency of natural teeth. It’s even stain-resistant, which means that you won’t have to worry about your new smile fading over time. Veneers are uniquely crafted to fit over your teeth and are bonded to the front surface to hide an array of imperfections. What problems can dental veneers address? Veneers are an amazingly versatile restoration since they are able to cover up a myriad of problems. Do you have severe discolorations that even professional teeth whitening can’t handle? Then veneers can cover these discolorations and give you the whiter smile you want. Do you have chips, cracks or fractures in your teeth? Veneers can also hide these problems. Veneers can also help improve the evenness of your smile and make your smile appear straighter. If you have one tooth that is a bit too short, too long, worn down, crooked or overlapping, then veneers can easily alter the shape, size and length of one or more teeth to give you the smile you’ve always wanted but never thought possible. If you are ready to find out if you are the ideal candidate for dental veneers, then it’s time you turned to Promenade Center for Dentistry in Charlotte, NC, to learn more about what veneers could do to enhance your appearance. Call us today!